It might be the wet season but sales of air-conditioners and refrigerators are going gangbusters. Unsurprisingly the fastest movers are the big names like Samsung, Panasonic and Sanyo. “We average more than 30 air-cons sales a day, and up to triple that on the weekends,” says the business manager of Cho Lon Electric Mart. Air-conditioners and refrigerators have fallen 15-20 percent in price from a year ago. For example, a 200-liter fridge starts at US$200 and a 500-liter fridge at US$500, while air-conditioners range from US$400 to US$525. The most popular at the moment are 300-400 liter refrigerators; they cost from US$250 to US$400. Big and small retailers alike are experiencing a healthy turnover of their air-con and fridge stock. A wide array of those products from Panasonic, Samsung, Toshiba and the like are in the stores this year. New air-conditioner models with state-of-the-art features like Anti-Bacterial Silver Nanotechnology from Samsung, Nao Plasma Plus from LG and Puritee S2 Technology from Panasonic are heating up the home appliance market. 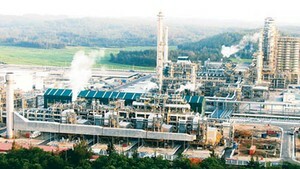 Their prices range from US$440 to US$625. Similarly, refrigerators from Samsung, Sanyo and LG with such features as Multi Air Flow, Multi Air Vents and Anti Bacteria are in great demand. 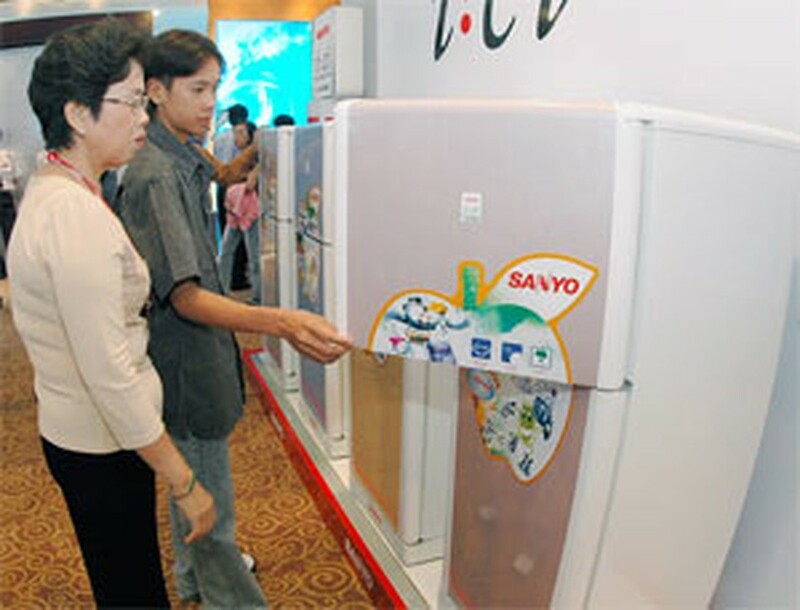 Also scoring a hit with shoppers are the first made-in-Viet Nam refrigerators of 126 liters, 147 liters, 184 liters and 205 liters from VTB. They have good designs, incorporate modern technologies, and are competitively priced from US$157 to US$220. Their arrival on the scene has certainly stirred things up.